During an interview, the Managing Director of Sony India has said that they will release a new range of smartphone's with a new and improved design 'soon.' This means that in 2018 we could see Sony flagship phones with a more modern screen to bezel ratio. Sony’s designs are divisive and definitely fall into the “love it or hate it” idiom. Within our staff we have had multiple debates over the design; Is Sony’s adherence to consistency for several years a good way to create a recognizable brand image or did it outstay its welcome by a couple of years. The Sony Xperia XZ1 and XZ1 Compact were announced four weeks ago at IFA 2017, and many were disappointed that they still had the large Sony bezels on top and bottom. 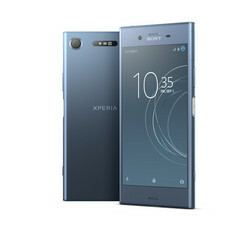 Sony makes a lot of quality electronics, so a modern smartphone design and some tweaking of their camera processing software might be what they need to start gaining market share again.